Please welcome this month’s guest blogger, Marcia Hall of GoNannies.com, as she participates in our Holiday Blog Series with the following post. When most parents hear the word “Holidays”, “Christmas” or “Hanukkah” there is a feeling of joy and excitement mixed with a bit of anxiety and possibly even panic. Everything around, from store fronts to advertisements, says that this time of year is supposed to be fun, peaceful and all about family, but rarely do parents feel that way. It is possible, however, to make it to the end of the season with some joy and peace left intact. you could check here buy prednisone with mastercard Limit Commitments – Yes, there are some things you cannot say “no” to. However, there are plenty of activities that you can take a pass on. Make a list of all the people you want to see and parties or events that you went to last year or know that you have to go to this year. Put a star next to the ones you feel like you “have” to go to. Highlight those you are really excited about going to. Then take a look again at those on the list that you put a star next too. Ask yourself what would really happen if you did not attend that event or see that person before Christmas. The reality is that people tend to go to events around this time of year simply because they think they are obligated to attend. But in order to make the holiday season more enjoyable for you and your family, some things might have to go. Perhaps there are some people you could make plans to get together with after the hurriedness of the holidays has passed. If there are people on your list that you just can’t seem to fit into the schedule right now, give them a call and make plans to get together after the New Year, or at least after Christmas. Enjoy the simple things – Parents often want their family to have a flawless and seamless holiday experience. You frantically search for the perfect gifts, decorate the house with millions of lights and adornments, and sacrifice to get your child to every possible fun occasion you can. I have a big smile on my face as I write this blog post. Gift wrapping is one thing my husband has no patience for. Most of the gifts he gives me get wrapped by the store where he purchased the gift, usually in a gift bag. And I say, “Good for him!”. You shouldn’t do things you don’t like to do. For today’s post, I thought a visual representation of gift wrapping would give you some new ideas. I saw this on Pinterest (cover toilet paper rolls) and have filled these with all kinds of goodies! Used the wrapping paper to bundle multiple gifts going to one person. Purchased this awesome gift card holder at a craft fair this weekend. Simple touches, with a bit of glue, transform this plain bag. Way cute and an extra gift to “boot”! 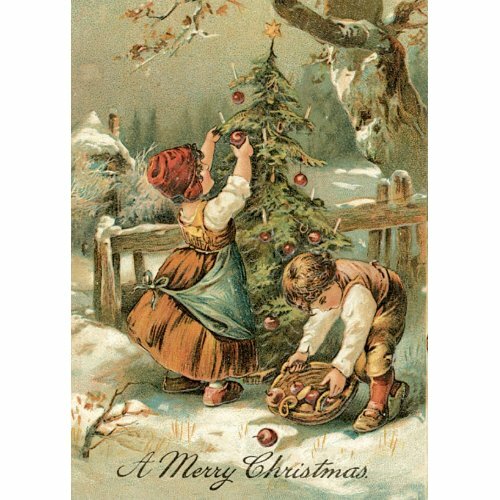 Christmas cards in the U.S. seems to be a tradition that we all want to keep. But it is a tradition that turns into a chore and one that often ends up not getting done. Even if you are already overwhelmed with all you must do for the holidays, sending Christmas cards out is still possible this year. At the very least, take note of these Christmas card tips for next year! Purchase your holiday cards early or buy them right after Christmas, for the next year. If you take a family photo, plan that for earlier in the year too, like summer. You can then send them off for printing or order your photo cards before Thanksgiving. Sign 10 cards a night. I usually do this while watching a movie or TV. Print up your address labels. In fact, print 2 sets and pack the 2nd set away with your Christmas decorations when the holidays are over. You’ll be glad to see these labels next year! Recently, a client called me for the Holiday Angel Services I offer. She gave me her Christmas card list on 3 pages from a yellow legal pad. I input her addresses into Microsoft Excel and then did a mail merge using Microsoft Windows to print her labels. (And because I take my own advice, I sent her 2 sets of labels.) Now, I don’t do mail merges and labels often enough to remember how to do it so I found this great video on YouTube and it walks you through the process step by step! You can go here to watch the video called “Labels from Excel Data to Word 2010”, if you are interested in doing this yourself. Or, can I help you? Take a look at the brochure for the Holiday Angel Services and let me take a task or two off your list. Even if you are not in my local area, I can at least help you with your Christmas card labels! Holiday Blog Series: Have a Potluck! Want less stress with holiday gatherings? Have a potluck! Potlucks are a great (and easier) way to entertain family and friends. Your guests do not need to be world renown chefs either. Encourage them to simply pick up a dish and/or beverage at the store. That’s easy too. It’s a holiday theme! Add some candles and use some of the decorations you already have as part of the buffet table decor. This may be where the work comes in, but it is not hard to do. Decide on the main dish and how many side dishes, salads, and other foods you would like. When you invite your guests, you can either assign them a food item or ask what they would like to bring. Invitations to potlucks can happen by phone, flyer, mail or email. I recently found a few sites that will do the inviting and the food assigning for you. LocalBuddy is a site that can help you with potlucks, and more. They can make sign ups happen for volunteers and even carpooling! Perfect Potluck was born from the website, Take Them a Meal and has the ability to send reminders automatically 2 days before the event. In the past I have used Evite, and yes, they do have a feature that allows your guests to RSVP and choose what they would like to bring. I love that these websites have tools to help us with potluck planning. Give one of them a try and let me know how you liked it by leaving a comment here! You can create more visual interest by placing boxes or upside down pots under a tablecloth on the buffet. Think like a caterer, they usually use varying heights on the buffet table. At the beginning of the buffet, place your plates followed by salads, entrees, side dishes, and lastly, the bread. Have a separate table or area where beverages and desserts are at the ready. A potluck is fun because you try different foods but most of what makes it fun is that it alleviates any one person from having to do all the work. The gathering that takes place may center around food but is memorable for us because of the people, the tradition, and the experience. “I had a wonderful time at the Smith’s; it was so great to see the ham and homemade rolls on the buffet”, said no one EVER. Decide on the Holiday wardrobe. Having a few pieces to mix and match can go a long way towards making your outfits for each event look unique. Now is the time to shop for outfits for you, your spouse and/or children. If you will be wearing clothes you already have (what a novel idea!) then get them out to spruce them up. Take clothes to the dry cleaners or get the ironing done now so they are ready for your holiday events. Pick up a few host/hostess gifts. If you are going to private parties, it is customary in America to bring along a gift for the host. Don’t add to the usual holiday clutter! Think about giving a gift that is consumable. Gifts from local wineries or specialty food vendors are easy gift ideas. Or make some of your own baked goods to give. If you want to stay away from food items, then bring a live plant or a gift certificate based on your hosts’ preferences. Write out (or type up) your babysitter and/or pet sitter instructions in advance. Update the emergency phone numbers and put down specific instructions for the sitter now. Put it on the refrigerator or in the office to give to the sitter when they arrive. It’s a small detail, but making up the instructions now means one less thing to remember to do as your events sneak up on you! No matter how you decide to prepare for Christmas parties, relax and enjoy the festive season! For the big holiday meals around the corner, everyone has their favorites. I am pretty traditional when it comes to Thanksgiving- you know, turkey and all the trimmings. Now on Christmas I have a different menu. My family likes when I serve Paella. It’s a Spanish dish with chicken, rice, peas and a boatload of seafood! Yummy!! Regardless of the menu, there’s usually a lot of preparation, in other words, kitchen time. In my last post, I mentioned doing some of the kitchen prep work in advance but today I want to talk about making up some easy meals in advance to make your life a little easier during this holiday season. There are a few things I do every year during the holidays to minimize my kitchen time. Freeze taco meat and meat loafs in quart size freezer bags. Make double batches of soup and freeze half. Make my banana and pumpkins breads and freeze them as I go; for giving to people during Christmas. Make a breakfast casserole on Christmas Eve and place in refrigerator for the next morning. Purchase mini appetizers from the freezer section and fresh veggies for all day snacking on Christmas Eve. But, alas, there are many people in the world who are even more savvy with the advance and easy meal preparation. Six Sisters Stuff tells how to make 8 Slow Cooker Freezer Meals that can be made in 1 Hour! 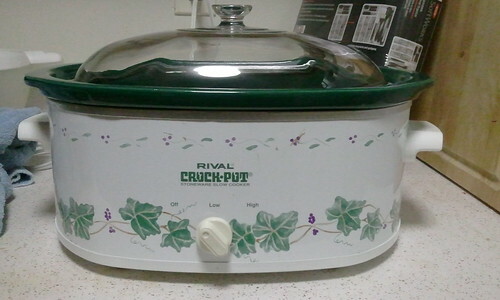 At Saving You Dinero you can take 1 Hour + 1 Mess = 5 Crockpot Meals and if you follow the additonal links in that blog you’ll actually get 15 recipes! You’ll find 7 Favorite Do-Ahead Dinners for Winter on the Simple Bites blog. For more ideas, suggestions, and a freezer resource guide, check out Make Ahead Meals. Please share any hints or tips you have for advance and easy meal ideas by commenting below. 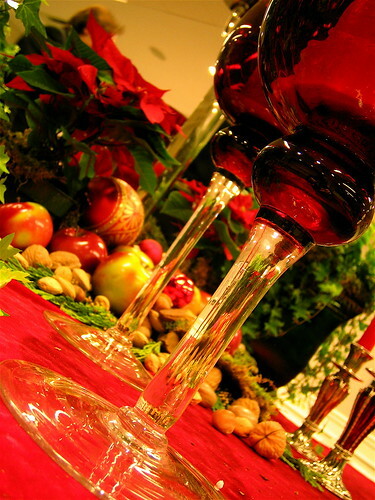 Entertaining tips for holiday meals is the topic of this week’s holiday blog series. The holiday season is when most people find themselves entertaining in their homes. In this post, I’d like to share with you the basics and some shortcuts to holiday entertaining as it relates to food. 1. Set the dates for all of your holiday entertaining. Put those times and dates on your calendar then decide how you will invite people. There’s good old-fashioned mailed invites, e-mail, Evite or you can pick up the phone. This year I put out an invite on Facebook to my family! Different families, different holidays, different ways of inviting but the point here is to set your dates now and give everyone plenty of notice. 2. Plan the foods you will serve. Now’s the time to pull out your favorite recipes and recipes books. Will you have a sit-down dinner or just appetizers and desserts? In a future post I’ll be talking about how potlucks can help make things even easier on you. 3. After you decided what type of meal or foods you will be serving, create the grocery list. If you do this in advance, you can watch for sales at your local supermarket and save a little. Try to do the grocery shopping during non-peak times, for example, shop very early in the morning on a week day. Weekends, evenings and the first of the month are busier days in the grocery stores. Avoid the crowds, if you can. 1. Plan the tablescape. If you set up your food as a buffet rather than a sit-down dinner style, it’s a lot less work. Everyone serves their plate from one central location and you don’t have to pass dishes around. Also think about using paper products instead of fine china. I know, I know I can hear the collective gasp! For holidays and special occasions what’s really more special – your china pattern or the memories made from family and friends together? You can make your tablescape as elegant or simple as you like. Just remember that simpler is easier. 3. Go for semi-homemade and give yourself a break. As Sandra Lee, the semi-homemade chef, says “Keep it simple, keep it smart, keep it semi-homemade.” To be honest, this is an area I need to work on. From buying minced garlic in a jar to making a pineapple upside down cake from a boxed cake mix, using these types of shortcuts can save you time and energy. The food you serve can still be delicious even though it was not created entirely from scratch. So there you have it; the basic and shortcut steps to organizing your holiday entertaining with food. Do you have any great shortcuts? Any semi-homemade things you can share with me? If so, I’d love it if you left a comment here. Today’s holiday blog series is on cleaning the house. As busy as we get, we still want to have a clean house when guests arrive. Don’t stress! Don’t try to be a perfectionist, either. But let’s be clear that this is not the time for deep cleaning. I have put together a quick room by room cleaning routine to follow this holiday season. I hope that laying it out in this format and telling you that you really only need to spend 15-20 minutes a day on this will give you a little peace of mind. It is doable! When all else fails, you could hire a housekeeper for a “one time shine” for the holidays! Now that Fall is finally here, many find themselves decorating for Halloween and Autumn, followed closely by the December and Winter holidays. I wanted to share some tips on seasonal decorating to help you reduce the chaos that comes with all the extra things going on during this time of year. Don’t know if you were expecting some earth-shaking tips but it all boils down to keeping it simple because it’s the people in our lives, not the decorations, that really matter. So how do we begin to simplify? Reduce the number of rooms you decorate. I decorate the living room and formal dining rooms as these are my areas that I use when entertaining company. Where are the main focal points in your home? Reduce the amount of smaller decorations you put out. Do you really need that pumpkin candle holder on the bathroom vanity? Decide on a few staple decor items. For example, my main decor staples consist of a wreath, a table centerpiece with some seasonal color in the form of table runners. Limit the size and number of containers you have for seasonal decor storage. This is a great way to set boundaries on the amount of decorations you will keep. Use organic items for decorating, that way you don’t have to find the room to store them. For example, use real pumpkins and acorns, or pine boughs, or even dried beans layered in clear vases. This year as you bring out the decorations, see if you can use some of these tips. I find it can be helpful to take a picture of how you decorate an area and store the photo in the box when you put the decorations away. That way, no guess work! Donate or sell whatever you do not set out this year right away so others can use it and have time to enjoy it before the season ends. My next post will be about cleaning your house in preparation for holiday guests and entertaining.